Wingatui Melbourne Cup Day in Dunedin is an annual event not to be missed! Each year it continues to get better and is now one of the most social occasions on the Dunedin Events Calendar. It is not just the race that stops Australia - it stops Dunedin too! Ticketing options to suit everyone's needs you're guaranteed to get as close to the race track as possible. Scroll down for more information about all your ticket options. PER SITE Entry tickets for 10 people, 10 race books, table and 10 chairs, TAB and bar facilities. Watch all the action from the best seat in the house! The Winning Post Lounge is your traditional indoor race day dining experience. Situated in the main grandstand, it provides a brilliant view of the track and birdcage as the jockeys mount their rides. Looking for something a little more relaxed whilst still enjoying the comfort of corporate hospitality? 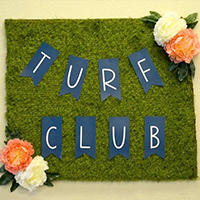 The Steinlager Turf Club is the place for you. Watch as the horses cross the Winning Post from the elevated view of the Turf Club. Exclusive bar and TAB facilities. Elevated view of the track, cash bar and TAB facilities. 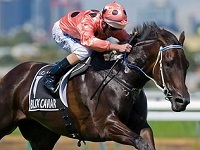 The Black Caviar Village is set on the finishing straight with sweeping views of the course and winning post, where you will enjoy the great atmosphere of the Black Caviar Village. This Village is perfect for getting a group of mates together or hosting clients in your own private marquee. The big screen in front of the Village will ensure you don’t miss any of the action around the track and with live music, this is sure to be the best marquee spot on course. * This is a strictly ticketed village. Each village will have their own TAB & Bar Facilities with the option to pre-order beverages at a reduced rate. Looking for something smaller but don’t want to miss out on the racing? Purchase a marquee right by the Birdcage! 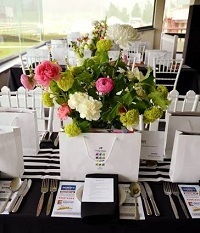 Marquees include tickets for 10 people, 10 race books, table and 10 chairs. TAB facilities and cash bar available in the mini marquee area. The Baghdad Note Balcony. Set in the grandstand above the finishing straight it is the perfect place to enjoy the day whilst undercover. The TAB is just behind you and so is the Baghdad Note bar should you run out during the day. 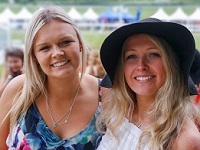 Spend the day outside on lawn or in one of the many public areas at Wingatui with easy access to bars, grandstand seating and betting facilities.